Maroon/Gray woven webbing 1 1/2" wide. 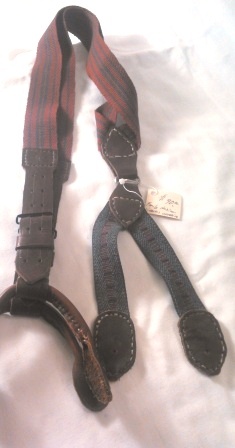 Brown leather ends, with brass buckles. Gray Maroon elastic, Adjustable 45+" in length.